Spacious 1 bedroom apartment located on first floor of three floor secure elevator building. Heat and 1 parking space included. Laundry on each floor. 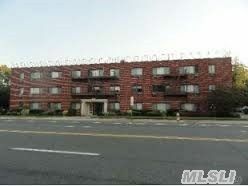 Within walking distance to RVC shops, restaurants, LIRR. Security, 1st month rent and broker fee due at signing.